This PDF 1.5 document has been generated by Sejda 3.2.22 (www.sejda.org) / SAMBox 1.1.13 (www.sejda.org), and has been sent on pdf-archive.com on 24/08/2017 at 12:13, from IP address 110.227.x.x. The current document download page has been viewed 114 times. File size: 486 KB (3 pages). trusted Mechanics &amp; Automotive Professionals. activities and have all those Awesome adventures you’ve always dreamed of in the land of Oz. Short-term and one-way Campervan hire are also available – perfect for festivals or weekends away. All quotes from Awesome Camper Van Hire include the below which should cover everything that is needed. also have safe and reliable quality campervans. 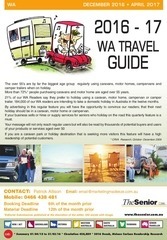 We Cater for the backpackers and budget travellers looking for a great way to travel Australia. This file has been shared by a user of PDF Archive. Document ID: 00659925.